Early this afternoon, seventeen year old Kadeem Monsanto was gunned down by three men; he died soon after he was rushed to the hospital. The minor is the second son of the reputed former gang leader, Clay Monsanto, to die in gun violence. The older Monsanto now lives in the United States. The trouble started hours earlier between rival gangs and ended with the murder of Kadeem who, according to reports, has had brushes with the law but was never charged with any offence. News Five’s Isani Cayetano reports. 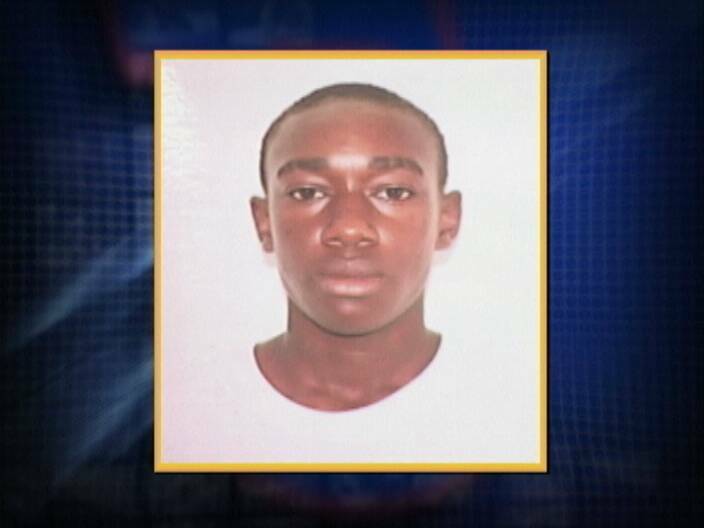 The latest homicide in the Old Capital, the result of another neighborhood rivalry, has claimed the life of seventeen year old Kadeem Monsanto. 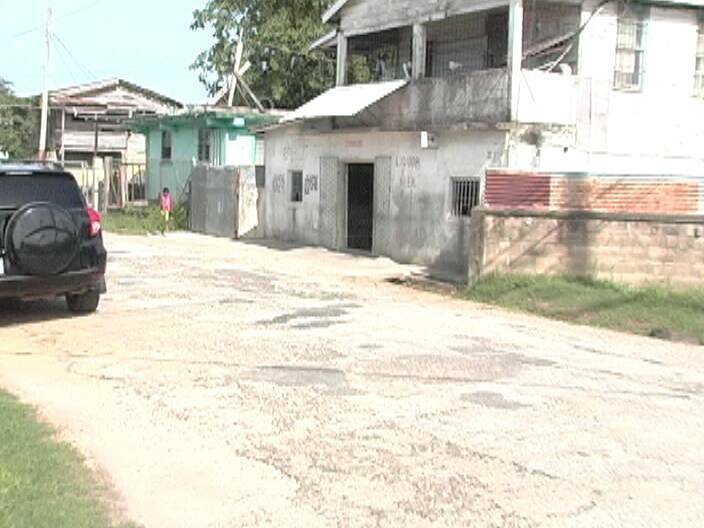 At around two o’clock this afternoon gunshots rang out along Mopan Street as the minor was fired upon by his assailants. When the shooting subsided Monsanto had been mortally injured by a single round which penetrated his lower back. He was immediately rushed to the KHMH where a small group of family and friends gathered. Among them was his uncle Raymond Gongora. 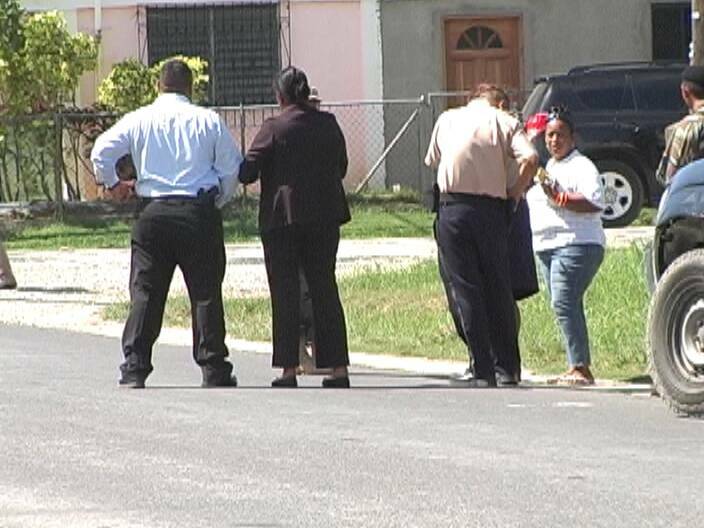 When News Five arrived at the scene of the shooting shortly thereafter CIB personnel were busy combing the area for expended shells. 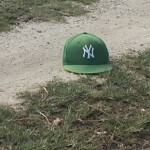 On the ground a few feet away were personal effects including this green New York fitted cap and a pair of broken sunglasses. Those items are expected to be admitted as evidence. 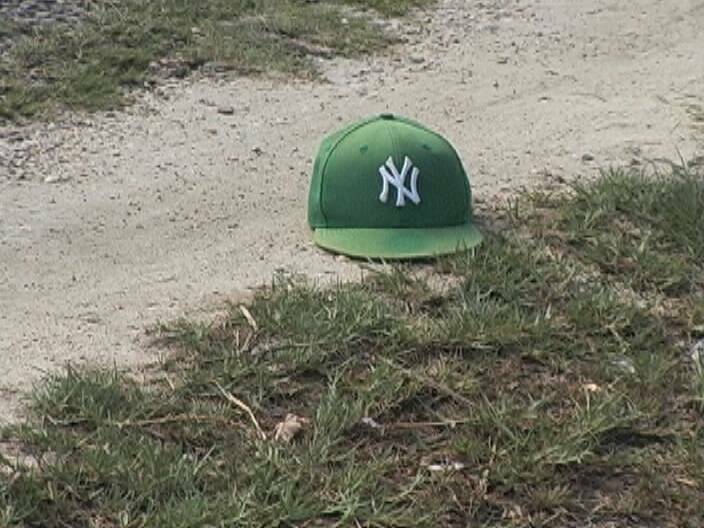 Also in the area was a young man who had been attacked by a trio of men, presumed to be the shooters, while returning from a nearby corner store. 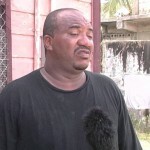 Kadeem Monsanto is the second son of Clay Monsanto, a reputed former gang leader, to be killed in the streets of Belize City. According to Gongora efforts were underway to send Kadeem abroad, away from the environment he was living in. The young man the trio pursued moments earlier saw what happened and told us that he sought refuge across the street in an empty property. Carla Young, who was driving by at the time of the shooting, received injuries to her eyes caused by a broken windshield and had to be hospitalized. The other Monsanto to have been killed was sixteen month old Claymar Monsanto back in 2001 in the same area where Kadeem was shot. My deepest condolence goes to the Mansanto Family.Keep your head up Clay.Jah is not sleeping just stand form brother. Come on Barrow,how many more of our youths got to get gun down for your lame @ to do some $#!% about this crime situation? there will be a lot more mothers to cry for this boy kadeem who was killed.his father smiles but he is deeply very angry. sad mein so sad how the youths just the kill out each other……I’m starting to think its an epedemic disease…….pray for Belize…..love mi country baddddd!!!! 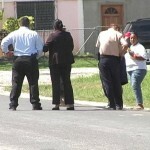 What is going on in Belize, it seem that there are assasins just roaming the streets looking for people to kill. 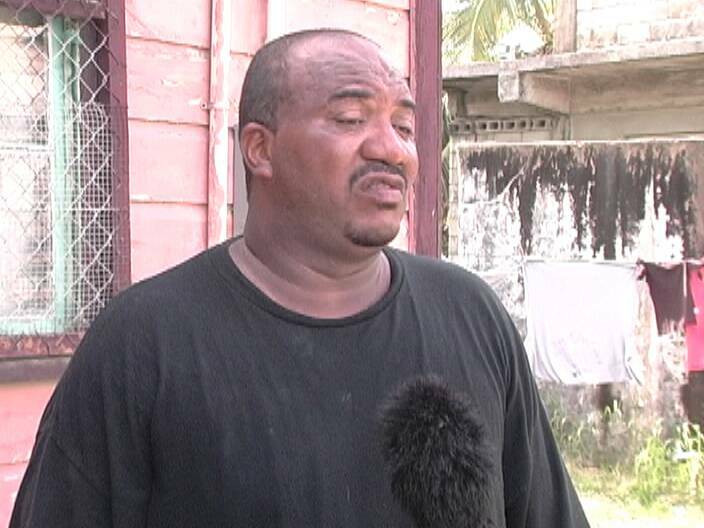 What is the purpose of teenage gangs in Belize. This is a time for these children to be children enjoying their youth. Please people of Belize this evil that has fallen on the coutry can only be helped by prayer to the Heavenly Father in the name of Jesus. All the obia has released familiar spirits in the country and this is what is at the root of the problem, poverty is a problem too. This is a spiritual war that is going on folks, this can only be won by prayer. LIsten to what I am telling you Satan is real and he has a hold on the youth and the government, how else can he destroy the country. The Bible says the devil comes to steal to kill and to destroy. He is using the men children to do his work. Pastors need to study spiritual warfare and begin to teach the congregation how to fight in the spirit with prayer. Problem is I don’t think Belize ministers and pastors and priests know how to fight in the spirit. It is not done by praying to saints. Prayers has to be made to God in the name of Jesus, not in the name of Mary, Saint Jude or any saints. Bind the enemy in the name of Jesus. The Gang Suppression Unit started out very impressive but as it is now they seem to have really turned out to be a waste of time and at times seems to be contributing to the crime situation in Belize, does anything under this administration works right? 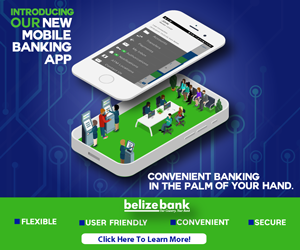 I believe that the root of the problem in Belize with government and everywhere else is self interest everyone wants to know what is in it for them and what they can get out of it. Belize is badly lacking of Patriotism. Remember My Legacy B 4 My People. I say…let’s outlaw bicycles…. too many killings perpetrated with bicycles…. but ..
dont worry people after june 30th most of this shootings will stop since the no-tint regulation will come into play…. those bastards will no longer be able to hide behind the tint of their bicycles to commit these murders…. Way to go GOB…… Iam eagerly waiting for june 30th…. to see crime reduced significantly… especially the murders…!! My condolences to the family…..
mylegacy, do you remember how ‘operation jaguar’ started out? It curbed the crime wave for a short while after which the city streets returned to its normal war zone. We need sustainable solutions, not temporary fixes to calm a few. Please PM don’t waste time with that tinted glass act, its a waste of our already limited resources cause as you can see 9 out of 10 ‘hitmen’ are on bicycles. My heart is shattered to hear of another youth gunned down. A young man I watched growing up. I pray that all the life people take that they are haunted by their victims. 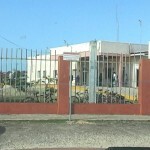 We can’t call for justice as there is none to be found in Belize. Our youth growing up in south side are doomed to deal with poverty, peer pressures, stigma. They are forced to live the life of thugs, gangsters because the government is doing nothing to assist these children. Its just another man down Dean Barrow could care less. REST IN PEACE KADEEM .. THE CHURCHES should be out there PREACHING GOD’S LOVE * THE PRECIOUS GIFT OF HUMAN LIFE and ABOUT FORGIVENESS. THE CHURCHES HAVE FAILED US……..
i’m laughing at the stupid idea that barrow brought about the tint ban. look at our black ( with respect no racist just highlighting) community the youthS are killing each other everyday affecting the older citizen like the ex-bdf. barrow should focus on this important issue than anything else. killings are perpetrated with bikes, not IN tinted cars but his stupid idea and his dictatorship manners have us internationally looking like fools doing the stupid ideas and law he implements but forgetting to implement the most important thing, TO HANG THE KILLERS. you are an idiot bafoon earlgrey its not the churches its this no good pm and gov. that you voted for is the problem they all need to resign for incompetence you ignoramus. 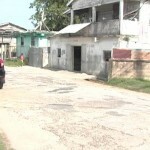 You will not see no change in all this violence until Belizean’s stand up and shut down these gangs. First thing bring back HANGING for first degree murder. Second thing may sound a little silly but make bike laws or start inforcing them. Start with All bike’s must be registered (engraved with a controled number on the frame of the bike) no exceptions. Alot of work and time will be put into registration of bikes but how many of this wannabe thugs will take time to register a bike (none!) Also it may create needed JOBS! Bike rules could start with: All bike rider must obey all road rules just like a car of subject to be stopped by the Police. All bikes must drive on the right side of the road just like cars. All bikes must have a working light and bell and both are subject to be checked at anytime. Everyday i read about these murders and they always happening from someone on a bike. Bike’s are a easy get away. You can drive into small areas or just pickup the bike and go into a house. The next thing is these wannabe thugs are not good shooters from a distance but from a bike you can be as close as you wanna be. Rest In Peace Young Brother! @payback…the comment you made is an example of the main reasons these murders occur….black ppl have a hard time working things out non-violently, these days all we do is fight, fight, or kill…We don’t teach our children and youths to fight for the right things, only against each other….Sad indeed…blacks killing blacks, annihilating our own race because of our ignorance and hatred for each other…So, you say his father is “mad”….sounds like you are also saying he (the father) will retalliate, typical way of thinking these days among my people,….adding fire to the fury, instead of a solution!! Same thing happening in America, and I am praying for ALL of us, because it seems to be happening ALL OVER THE WORLD wherever black people live!!!!! So much so, that the blacks who ARE trying to make a good difference, seems INVISIBLE & UNHEARD OF!!!! Originalwoman:I share your sentiments,but unfortunately that’s the way the system is setup.For eg a Garifuna and a Creole would not unite for a worthy cost but yet they can unite to commit crimes. its another sad day for the jewel, but most of all for the city itself, people are just dropping like flies. the prime minister should feel ashamed of himself that this killing spree is happening under his watch , and most importantly in his backyard ( meaning the city) . the average joe on the street knows that he can commit a murder because there is no price to pay, hence the killing continues. the media needs to start doing there part by holding those who are in power (starting w/ the pm), feet to the fire, and start asking tough questions, but i doubt it because they themselves are highlly politicized, which serves the community no justice. want to see an immediate change in these killers attittude, hang a couple of them in the public sqaure, this way they can’t escape and kill again; @ the same time saving the taxpayers some much needed greens. i would assume that the economy in the city is not doing as well as it needs to because of the ripple effect that murder rate is causing. WHAT ? I thought all the murdering was committed by Vehicles with TINTED WINDOWS. Yes Barrow you must outlaw bicycles they are transportation vehicles of Killers. Dats my cuzzo rite there n it hurts me 2 noe dat sum1 would do dat 2 him over the silly thing my uncle did in da pass. I left belize 11 years ago n it hurts me bcuz im even scared 2 visit. Thnx 4 all da support 4rm every1. N i luv u aunty Yvette. MAY MY LIL CUZIN REST IN PEACE. Gone but trust kad ur never 4 gotten. SRRY I WILL NEVER C U AGAIN OR U WILL NEVER MEET MY DAUGHTER BUT U WILL DEEPLY B MESSED. Stay strong aunty n granny will b there soon. To Clay Rude Bwy Monsanto(Son Son) baby its so hard to come to grips with what is going on in this little country Belize am so happy that you were able to get out of this environment not to fall prey to streets of south side Belize, and only wish that Kadeem could have get the opportunity to do the same. I was just talking to him last week when I took Jr. & Dayvonne to see them. Its so sad, just be strong, hold your head high, he will always be watching over you. Love you my nephew RIP Kadeem. Chamber of Commerce’s Senator, Godwin Hulse, speaks about B.E.L.